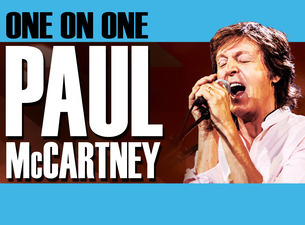 The always amazing Paul McCartney just keeps touring every year, now adding fourteen dates in the U.S. for later this year. Before today, all McCartney had on his schedule was a series of dates in Japan which continues tonight at Budokan followed by three at Tokyo Dome on Thursday, Saturday and Sunday. Now he has added what is being called just the start for a major U.S. tour which (for now) kicks off on July 5 in Miami and runs through October 1 in Detroit, MI. Obviously, with only fourteen shows in three months and none in August, there's a lot of room for expansion.